As I reported earlier the Kiwanis International 100th Anniversary convention was held in my city last week. It was a five day event filled with learning, service and entertainment opportunities. The convention included representatives of all the Kiwanis family of clubs from the youth clubs to the clubs serving the retired. Unfortunately some of the activities were limited due to the rain that has been plaguing our city recently, in fact I was wondering if we should not have had an arc building service project since even more is on the way in the days ahead. This was an event I was looking forward to for months. Not only was I going to get an update on the good works being done around the globe, I was also going to renew old friendships with Kiwanis leaders, folks I had served with when I was on staff working with our members and UNICEF on our organizations first worldwide service project that has been called one of the greatest public health successes of all time. Unfortunately my body was not up to the task and I had to leave the convention after spending only a few hours on Thursday after attending three short sessions. The long walk from the place I had to park to the convention exhibit area had taken its toll. At 11 AM I was already worn out and had to slowly return to my car and go home to bed. I only got to see a few of my old friends and missed many more. I received a number of e-mails wondering where I was but a scheduled medical procedure and low energy kept me from any other Kiwanis activities. It worked out that with my registration fees and a few other convention related expenses I paid more than three hundred dollars to not get to see everyone I wanted to meet. I have discovered as we age we must learn to live with our own realities. While I was disappointed that things did not work out as I had planned, I did get to put in an appearance, I did get to greet some valued old friends and I was able to go when so many of my contemporaries have passed on or are too infirm to do much. So life goes on as it always does, the world did not end and my day to day life continues to satisfy and that isn’t bad. So you see, money isn’t everything. And it often causes pain and suffering. I tell you all this because I am your Friend. I am your Friend, and as your Friend, I want to take away your pain and suffering… So send me all your money and I will suffer for you. Your temper is one of your most valuable possessions. Don’t lose it. “So how did you ever make it over here?” Sam asked. I miss our phone calls. But it seems like ever since you got Caller ID you’re never home. He’s been on Jerry Springer, twice. “I can’t stand this,” said the man, tossing the can in a trash container and heading down the road toward the men. “You don’t understand, mister,” one of the men said, leaning on his shovel and wiping his brow. The new doctor smiled smugly as he continued to write on his clipboard. “Cured her hiccups though, didn’t I? Tom responds, “Well, I’ve learned that marriage is the best teacher of all. It teaches you loyalty, forbearance, meekness, self-restraint, forgiveness and a great many other qualities you wouldn’t have needed if you’d stayed single! 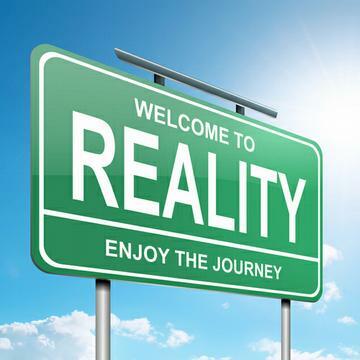 There’s no remaking reality… Just take it as it comes. Hold your ground and take it as it comes. There’s no other way.